The Office of Veteran Services is comprised of VA work study students whose goal is to make veteran’s transition to SIUE a smooth process. We recognize the sacrifice veterans have made and the difficulties attributed with making this transition. To ease these complications, we are committed to informing, advising and assisting veterans, their dependents/spouses, or survivors to provide the tools and assistance necessary to achieve academic success. Our veteran work study students are available to guide veterans on the steps needed to fully utilize their educational benefits, including completing certain requests and application forms to obtain awarded benefits. 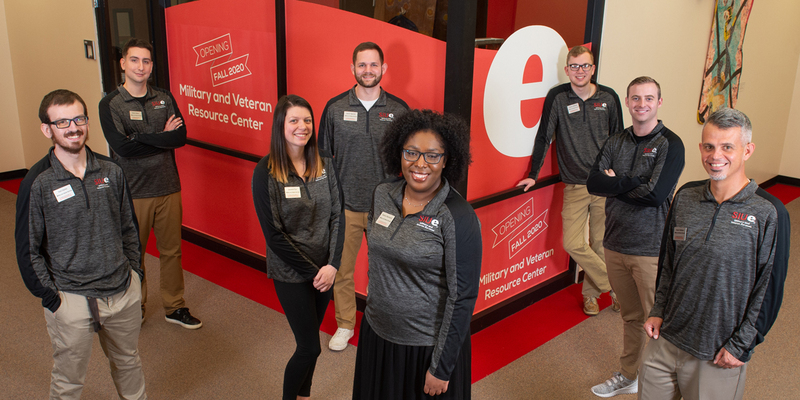 We are connected to an array of SIUE departments to ensure veterans are able to use the many on-campus resources available to them, securing a course to prosperity. Integrating veterans (spouses/dependents) into the SIUE community and helping provide the best possible experience while pursuing educational goals is our main focus. The Help Desk is located on the 1st floor of Rendleman Hall. Facebook, Use Facebook Messenger to submit questions and like our SIUE Veteran Services page!